Choose from a huge selection of spaces near Clapham North Station - including on-street parking, off-street car parks and 75 reservable spaces. All your parking needs for Clapham North Station, in one handy place – right here on JustPark. We’ve got a huge selection of convenient options for you to choose from – and even better still, 75 of those are reservable, giving you the peace of mind of a guaranteed space when you arrive. Find your perfect space near Clapham North Station using the search bar at the top of this page. We show you all the best options, from multi-storey car parks to local private driveways – so you can be sure you’re picking the best one for every journey. View availability information for all our parking spaces – or for total peace of mind, book one of our reservable JustPark spaces in advance to be certain you’ve got a spot (those with the lightning bolt icon). Our spaces start at just £6 per day. Rated 5 stars with an average satisfaction rating of 96%, JustPark is the UK’s favourite parking service. With millions of spaces in thousands of towns and cities, we’re making parking easy for over 2 million drivers, at Clapham North Station and across the country. But don’t just take our word for it – check out some of the latest customer reviews for our Clapham North Station parking spaces at the bottom of this page. To find information about parking near Clapham North Station and see what’s available for your journey, you can use the search form at the top of this page. 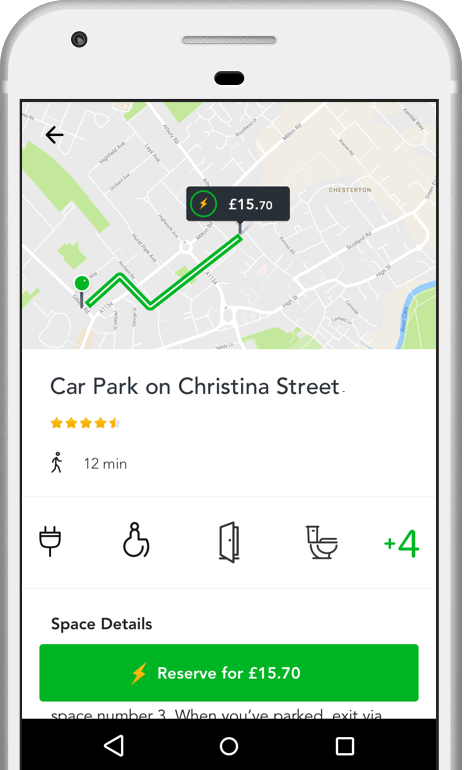 JustPark offers a choice of reservable off-street parking options near Clapham North Station – from public car parks to private driveways. You can browse options and book a guaranteed space via our website or app. There is plenty to see and do near Clapham North Station, plus access to public transport connections to take you further afield. You can find parking closer to nearby sights and amenities below. Rated 5 stars with an average satisfaction rating of 96%, JustPark is the UK’s favourite parking service. But don’t just take our word for it – check out some of the latest customer reviews for our Clapham North Station parking spaces at the bottom of this page.